Home sellers have moved their prices down to the buyers levels, but the buyers also have moved up to meet the sellers. With little inventory, and a common based for prices, I'd expect a great spring in Sutton. Sutton home sellers remain optimistic, as they continue to hold on to prices that are well above the current sales volume. They are over 5% above the current sale prices, which is a lot, and certainly qualifies as optimistic. Should they be? 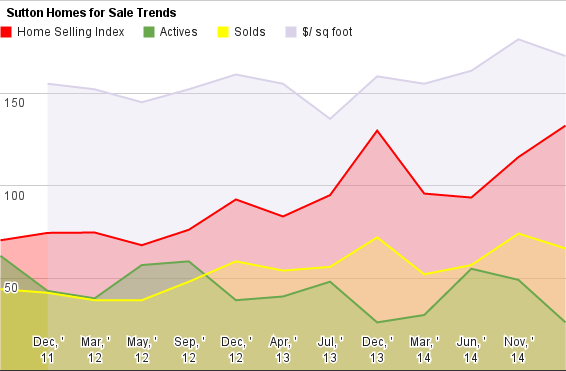 Sutton checks in looking poised to help sellers this Spring. That red line is the HSI, and at 132, shows the market gaining strength. 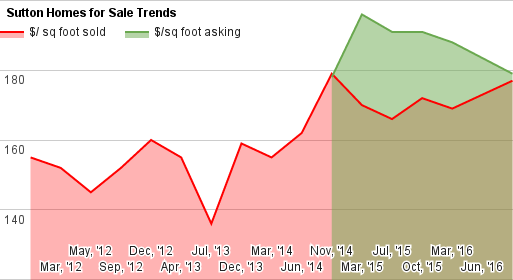 The Sutton home sales report checks in with a few surprises. Let's check them! As we look to the westerly, Sutton reinforces the trend that Sudbury so quickly broke. 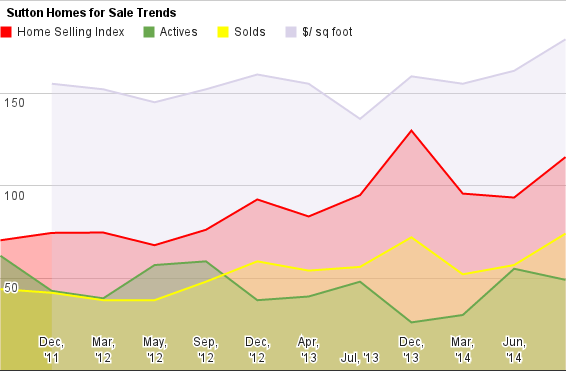 We see a lot of recent sales, inventory building to normalized levels, and a flat HSI.